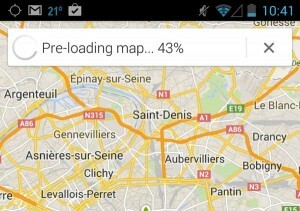 Worried about using cellular data during your trip to Paris? 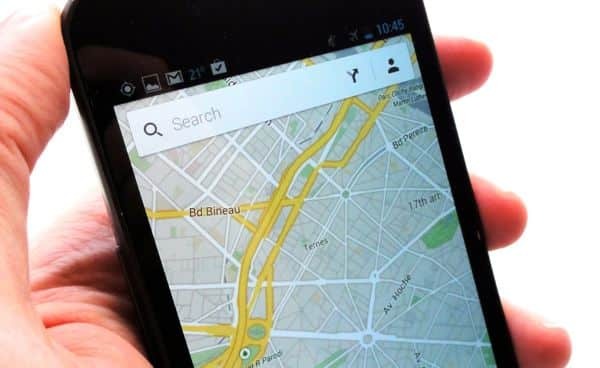 Good news: you can still find your way around with Google Maps even while your iPhone or Android phone is in “airplane” mode. With a simple command, you can save (or “cache”) a street, neighborhood, or even an entire city to your phone’s memory, perfect for navigating the twisty streets of Paris, London, Hong Kong, or just about anywhere else, no Internet connection required. Just tap “ok maps” into the search box to save the on-screen map to your phone’s memory. Next, your phone will start “caching” the on-screen map to its memory. Saving a map of Paris to my iPhone 5, for example, took about a minute. All done? Go ahead and turn on airplane mode and zoom in anywhere on the map you just saved—and when you do, the streets, blocks and avenues will appear, just as if your phone was online. The only bummer is that search will be disabled while you’re in offline mode. Even if your iPhone or Android phone isn’t connected to a cellular or Wi-Fi network, it can still pinpoint its approximate location if there are nearby Wi-Fi hotspots around. Just make sure “airplane” mode and Wi-Fi are turned on at the same time. Click here for more Android tips, or click here for help with your iPhone.